A half decade ago, listening about or sharing opinions on sneakers was in its fledgling stage. There were only a few people who were trusted to give opinions and cultural context on why sneakers mattered. Sneaker culture, for lack of a better word, was an insider’s club that placed emphasis on people being there to understand and appreciate the right shoes. 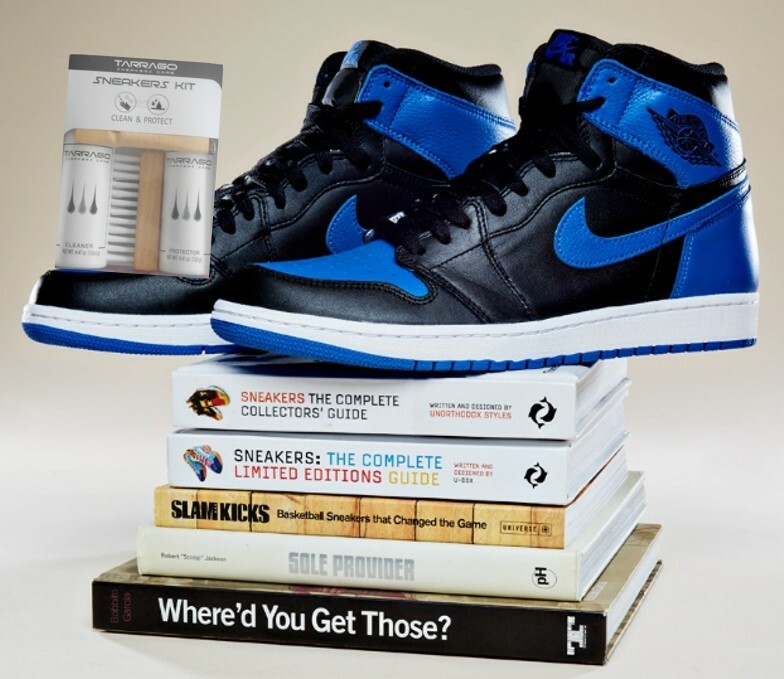 Now the sentence “taking care your sneakers” is a core part of the global sneakerhead lexicon. Carrying a deeper meaning beyond just “free from dirt, marks, or stains”, the word become a go-to way to validate, and in short, compliment the kicks. Tarrago Sneaker Cleaner. Foaming detergent with high cleaning power, conditions and deodorizes leaving a pleasant and delicate fragrance. Tarrago Sneaker Protector. Helps to prevent water soaking into the footwear, protects from rain and snow. It’s dirt repellant and prevents from any damage on the leather or fabrics. Tarrago Sneaker Brush. It’s made up of a varnished beech wood handle brush which brings a cool touch, and soft bristles, that will allow you to remove the most difficult spots. Tarrago Shoe Duster for achieving a high shine, made from 100% natural cotton. You can use also to apply creams & polishes. For even more convenience on the go, check out our products in Tarrago Brands International.